giffgaff - How can we create a brand experience that encapsulates the idea of 'mutual giving'? The young generation that makes up giffgaff's user base is known for being overly attached to their phones, constantly connected to social media and aware of their technological addictions. 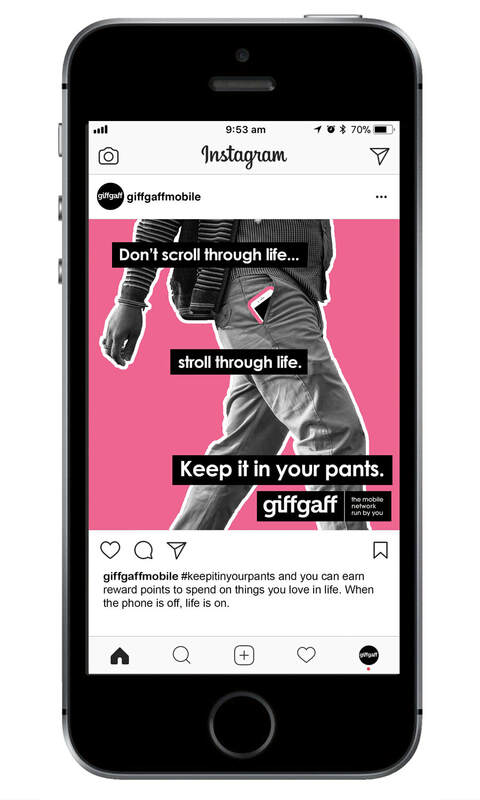 To help with this, giffgaff is launching a new feature on their mobile app that tracks how much the user stays off their phone and gives them rewards points to spend on living life. ​An ongoing brand experience through the mobile app, a YouTube video, and an Instagram ad.